What’s in your air? Find out with reliable indoor air quality testing in Ventura County CA from H2 Environmental. Most people would never dream of drinking dirty water. But they don’t really consider the quality of the air they breathe. Don’t you think you should care as much–or even more–about your air quality as your water quality? Our indoor air quality testing in Ventura County CA can reveal the risks present in your property and pave the way towards cleaner air. Once your indoor air quality testing in Ventura County CA is complete and we know the types of contamination we are dealing with, we can assist you with comprehensive plans to eliminate the existing contamination and keep it from returning. For example, if you have asbestos or mold, we can coordinate professional remediation services from qualified contractors. 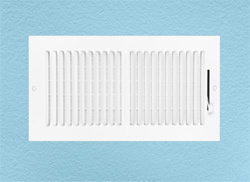 If you are bothered by chemicals or allergens, typically improved ventilation and air filtration is the answer. As your environmental consultant, H2 Environmental will work hard to deliver a solution that is right for your specific needs and concerns. Remember, expert help with your IAQ problem is just a call or click away. Call H2 Environmental at (800) 524-3578 or use our online contact form to request more information about indoor air quality testing in Ventura County CA.